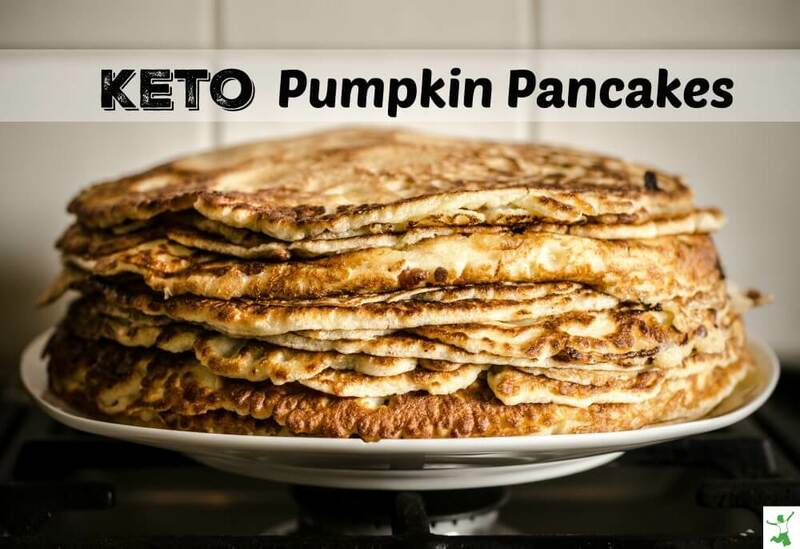 So, if you are low carbing it and need a change from almond flour pancakes, try this recipe for keto pancakes on for size! Whisk eggs in a large mixing bowl. Then, blend in pumpkin, vanilla and lucuma powder. Mix well. Add the spices and the melted butter to the mixture. Stir in chopped pecans until thoroughly blended. Drizzle coconut oil on griddle or large frypan over medium heat. Using a medium sized ladle drop the pancake batter onto the heated surface. As they thin they will be about 3-4” in diameter. When bubbles begin to surface it’s time to flip. Cook until lightly browned on both sides. Serve plain or with more butter and optional natural sweetener of choice. Alternatively, homemade whipped coconut cream adds additional sweetness with no carbs. The lucuma powder adds sweetness with a low amount of net carbs. Use virgin coconut oil instead of the expeller pressed if you don’t mind a bit of coconut flavor added to the pancakes. Paleo but not Keto? Then, simply use maple syrup instead of the lucuma powder. It will make the pancakes a bit sweeter without blowing through your daily carb limit. If you would like to keep the pancakes ultra low carb but a bit sweeter, you can add monk fruit extract to taste instead. If you are on a gut healing diet like the GAPS protocol or the Specific Carbohydrate Diet (SCD), then use date syrup instead of the lucuma. The bottom line is to use whatever natural sweetener works for the dietary regimen you are following. However, skip the sugar substitutes such as xylitol, Splenda powder (sucralose) or Ace K.
There is a very strong and growing body of scientific research that you shoot your health goals in the foot over the long term by using them!